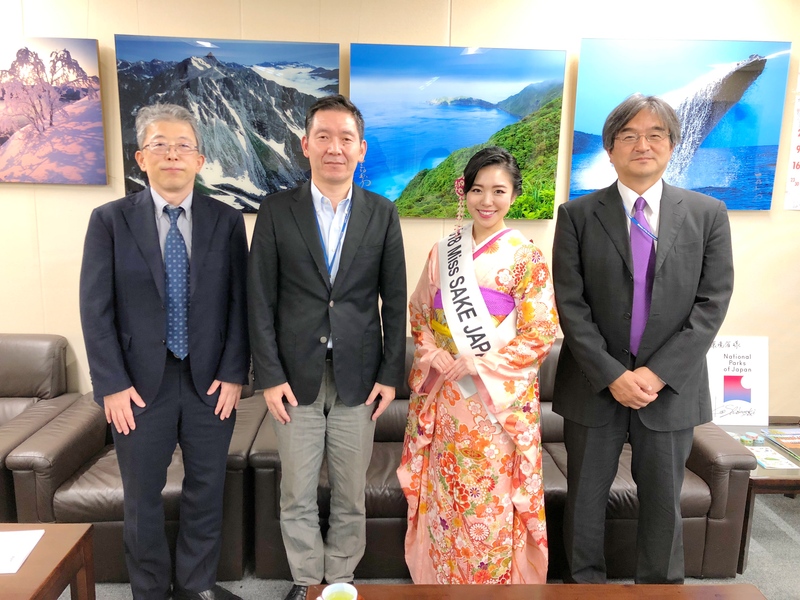 1 Asami Sudo, 2018 Miss SAKE, made a courtesy visit to the Ministry of the Environment, which has officially supported our activities as Miss SAKEs. Asami Sudo, 2018 Miss SAKE, made a courtesy visit to the Ministry of the Environment, which has officially supported our activities as Miss SAKEs. On October 4th, I made a courtesy visit to the Ministry of the Environment, which has officially supported our activities as Miss SAKEs. The Ministry of the Environment, MOE, deals with various environmental issues to secure the coexistence with nature. 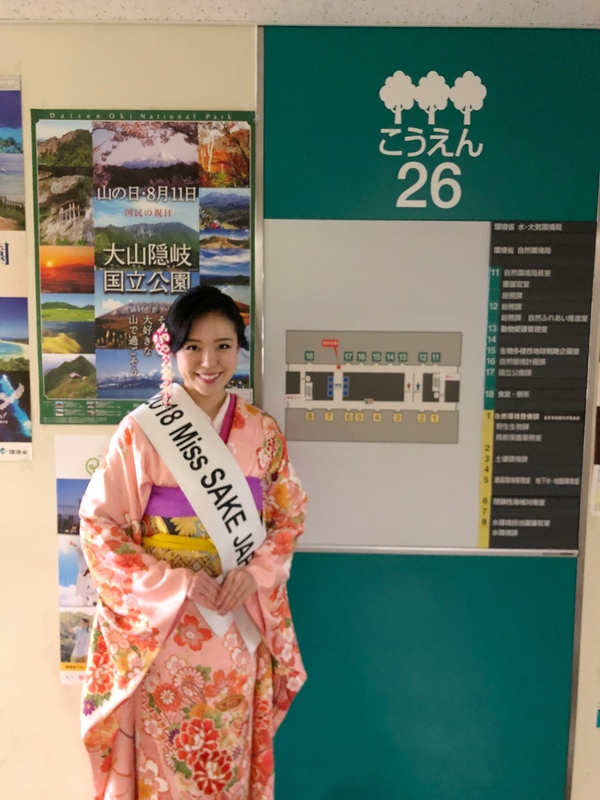 So, by conserving the rich natural environment and maintaining essential connections between people and nature, MOE aims at the realization of the Sustainable Society. This time, we had an opportunity to talk with Mr. Yutaka Shoda, Director-General of Nature Conservation Bureau of MOE, Mr. Akihiro Ueda, Director of Biodiversity Policy Division of Nature Conservation Bureau, and Mr. Seiji Konta, Officer of Biodiversity Policy Division. As you may know, SAKE is made from sake rice, water, koji mold and yeast, which are combined and fermented in precise processes that have been refined over the centuries. So, SAKE is an important cultural asset which has a long been familiar with Japanese people, and, at the same time, it is a valuable product of rich natural environment. Today, we are said to be in the society of “mass-production/ consumption/ disposal,” but SAKE is not something mass-produced and mass-consumed as substitutable product. But it’s what we are to enjoy as unsubstitutable product and pass down to future generations. 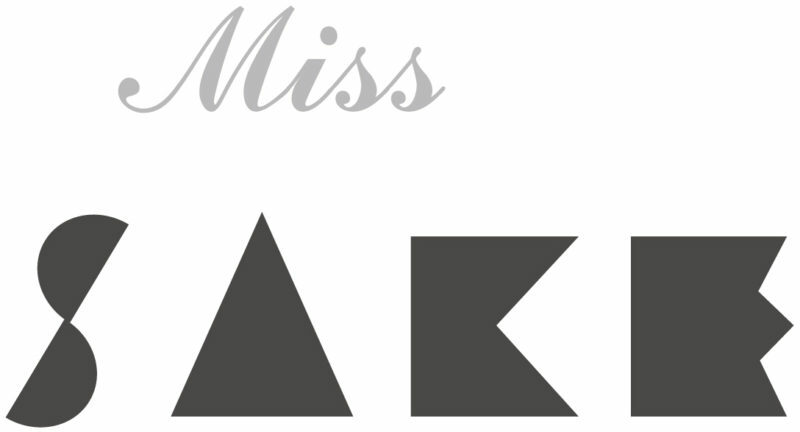 So, as Miss SAKE, we’d like to share the gratitude to sake, as a valuable product of the Sustainable Society. It was an honor for me to have a chance to report our activities so far and have words of encouragement for our future activities. As goodwill ambassadors of SAKE and Japanese culture, we’ll continue to try our best. I extend my deep appreciation to Mr. Shoda, Mr. Ueda and Mr. Konta for making a valuable time in their busy schedules.